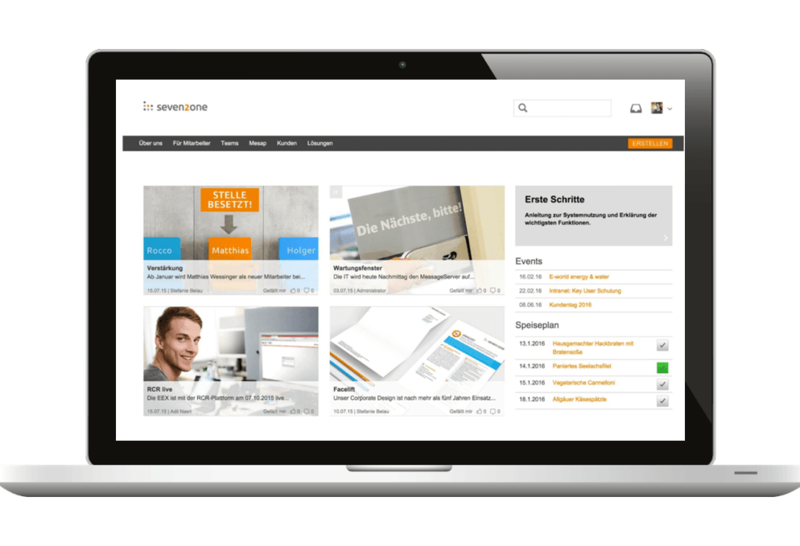 Development of a modern Confluence-based intranet solution for around 50 employees. Seven2one Informationssysteme GmbH (informational systems Corp.) was founded in 2001 as a spin-off of the Institute for Energy Economics at the University of Stuttgart in Germany. Today, around 50 employees work in the company, located in Karlsruhe, Germany. Seven2one is the leading software producer in the energy industry in all of the German speaking countries. They support energy supply companies and other energy related industrial companies by digitizing their Smart Energy business models with specially tailored software solutions for the energy markets of the future. The goal was to have a modern intranet solution that promotes company wide collaboration and that can also organize the overload of emails. In order to quickly and reliably retrieve important information, a good documentation of processes and decisions needed to be guaranteed. An intranet system is made to support open and transparent communication. Seven2one contacted us with a request relating to Confluence. At this time, they were still using Mediawiki. During a phone conference, we agreed upon a strategy workshop. It quickly became clear that Confluence wasn’t able to meet the specific requirements that desperately needed to be met. Because of this, we recommended a custom Linchpin project. We were able to map out the content and requirements that were lacking. We also provided on-site training for the employees, so that they can use their software more efficiently. Seven2one wanted to implement many quality management processes (to meet the requirements of an ISO certification) but were simply unable to in the initial implementation. Because of this, we worked with them on an additional project to replace the Visio diagramming software. Comala, Workflow, and draw.io apps were introduced to document and implement all approval processes.